We know that business and strata corporations have to perform efficiently and properly each and every time, so your commercial cleaning service must be no different. We also recognize that what we do for you is a reflection on the image and reputation of your own company, building or business which is why every member of our professional team is carefully selected, background screened, and trained. You expect prompt and reliable no-hassle service from your janitorial service, and we have been delivering it to our customers throughout the Victoria area. 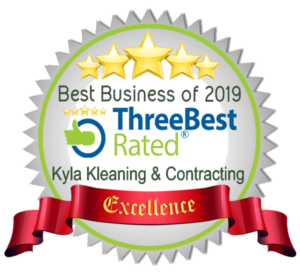 And that’s why KYLA KLEANING has built such a loyal base of regular customers and receive testimonials from so many clients. Commercial Cleaning Services, Strata Unit Cleaning, Restoration and Janitorial Services for every facility. 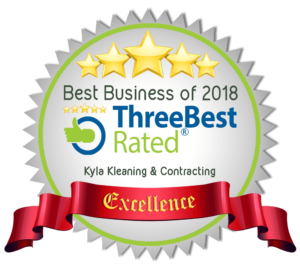 Construction site, strata property, office, retail, car dealership or restorations, we meet each of our clients’ unique cleaning service needs in a responsive and skilled manner so that you never have to worry about your commercial cleaning service when you deal with KYLA KLEANING. We are attentive to detail and treat your business, strata and office cleaning with personal care because we want your staff and your customers to appreciate that we’re looking after their environment. That’s the difference KYLA KLEANING brings to your commercial cleaning, strata unit cleaning and janitorial service. Our cleaners are flexible enough to accommodate your operating schedules and we are a very communicative group so special requests are properly looked after. Exceptional Cleaning Service Quality Isn’t Just Promised, It’s Delivered and Guaranteed! More importantly, we don’t tie you down with a commercial cleaning contract. Instead, we earn your business with every visit, which keeps us focused on quality control, supervision and, most importantly, providing customers with trustworthy, reliable and attentive cleaners. We take pride in our team and we back up that pride with our service guarantee to get it done right every time, or we’ll come back to fix it at no charge.